John Andersen and Crozet Running are hosting a trail run this Saturday (June 6) starting at 7 am that offers a fantastic opportunity for folks that are new to trail running to experience some great mountain trails at a relaxed and non-competitive pace. The run starts at the Sugar Hollow parking area at the back-end of the Charlottesville Reservoir and ascends the trail north to the hidden gem, Big Branch Falls. Come out see what it’s like to run trails — the beauty, the social fun, and the overall soul-cleansing experience of being out in nature. Group trail run this Saturday (June 6th) at Sugar Hollow! Come join John for an easy-paced, no-drop, 4-mile trail run starting at 7:00am at the Charlottesville Reservoir/Sugar Hollow. 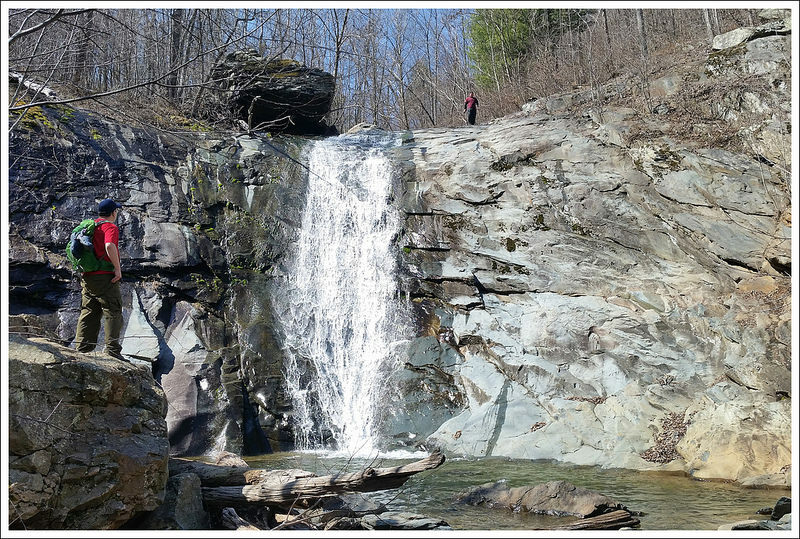 We will start at the gravel parking lot at the end of the reservoir and run approx 2 miles up the North Moormans Trail and take the spur to Big Branch Falls, a beautiful secret waterfall in SNP. Then we’ll turn around and head back. All runners are encouraged to come, regardless of pace! Bring a friend! Directions to the Charlottesville Reservoir: From White Hall, take Sugar Hollow Rd west for 4 miles to the reservoir – drive up and past the dam, all the way to the end of the gravel road and park. Hope to see a lot of new folks out!